As fighting intensifies in South Sudan’s Upper Nile state, aid organisations are finding it increasingly difficult to access the most severely affected areas. Médecins Sans Frontières/Doctors Without Borders (MSF) calls on all parties involved in the conflict to allow unrestricted access to Malakal and surrounding areas, so aid agencies can provide urgent humanitarian assistance to thousands caught up in the violence. 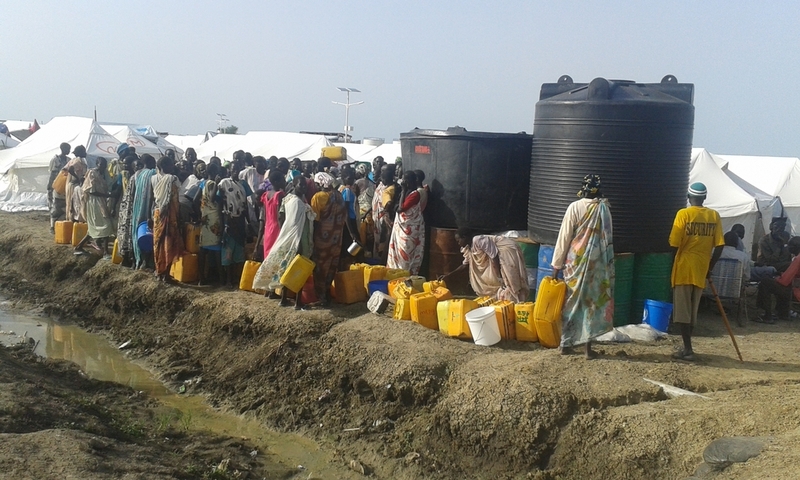 “Tens of thousands of people have been without access to medical care for three months,” says William Robertson, MSF’s programme manager for South Sudan. ver 1,665 families, mainly from the Shilluk tribe, have left Melut since the beginning of April and sought refuge in Noon, across the river Nile. Malakal town, which has changed hands multiple times in the past 18 months, has emptied as a result of continued fighting. In the past six weeks, MSF has been able to make only a single delivery of medical and food supplies to its health centre in Wau Shilluk, on the outskirts of Malakal. There are 77 children with severe acute malnutrition in MSF’s outpatient therapeutic feeding programme, but there is currently no way to resupply them with essential ready-to-use therapeutic food. With Malakal town on high security alert, and a heavy military presence, many people have fled to the nearby ‘protection of civilians’ site. However, the site is not a place of safety; MSF treated nine people wounded in a shooting attack which directly targeted the site in early July. On 19 and 20 July, MSF’s hospital in Malakal received 36 wounded civilians, including 16 women and five children, who had been travelling in a truck when they were attacked by an armed group. Some had multiple blast injuries caused by grenades and others had with bullet wounds. Five needed emergency surgery. This is just one example of countless episodes of violence against civilians in Upper Nile state. Continuing clashes in Upper Nile state in South Sudan are leading to more deaths and displacements of people. Other people have fled Malakal for the town of Melut, to the north. MSF has been forced to suspend its medical activities in Melut town twice in the past six weeks, leaving the 20,000 displaced people living in Denthoma 1 camp without medical care. Yet others have fled Malakal for the far bank of the White Nile, where there is a lack of basic amenities such as food, clean water and medicine. “The continuing violence in South Sudan is forcing ordinary people to live in inhumane conditions,” says Robertson. “People are being exposed to continual violence, increased displacement, fear of attacks, disease outbreaks and the risk of starvation. “MSF is deeply concerned about the continued denial of access for aid organisations to conflict areas and other remote areas of South Sudan, which is leaving people without the humanitarian assistance they urgently need.